We have a very good, “real” Chinese friend named Shui (which means water). He is born and raised in Beijing and a wonderful guy. He is always introducing us to new Beijing things and is great at choosing restaurants. Last Saturday he introduced us to a whole new food experience…. Hunan fare. It is one of China’s eight regional cuisines, but is not well know outside China, unlike its rival in the world of spicy food, Szechuan cooking. Six of us went for dinner at Karaiya Spice House. Shui’s wife Rosa took care of the ordering. The province of Hunan (hu means lake and nan means south) is in the southeastern part of China. It is extremely hot in the summer, and cool in the winter, but never cold like Beijing. The climate makes for a wonderful place to grow things. 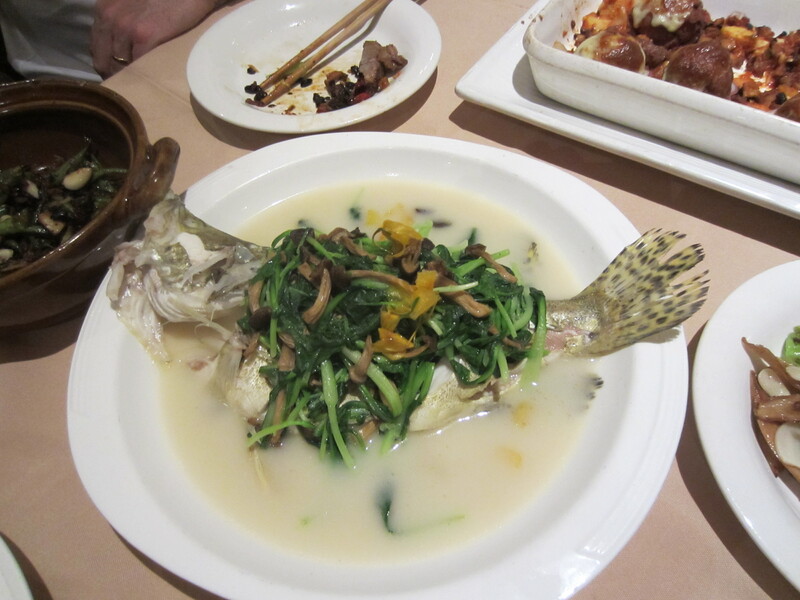 Hunan is known both for the diversity and the abundance of it produce. It is also where Chairman Mao was born and grew up! He loved his native food and so do I. 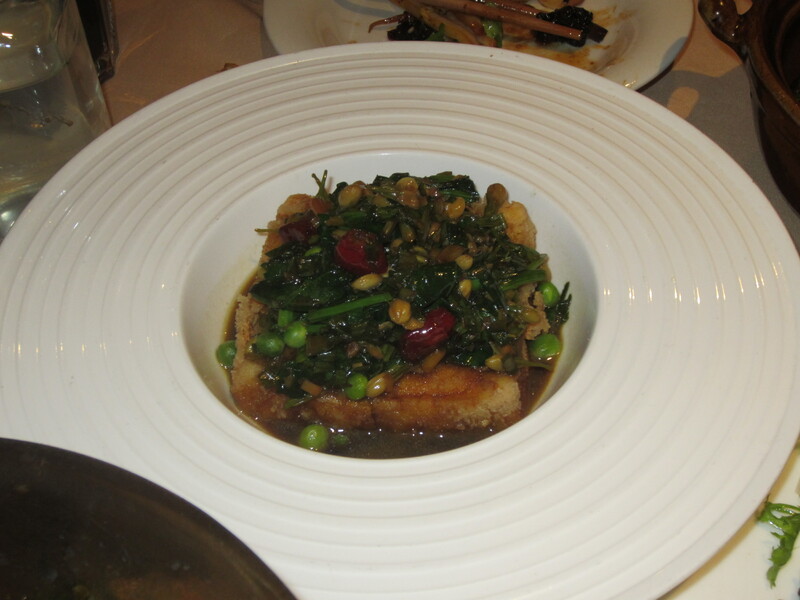 The dishes have a reputation for being more sophisticated than those found in Szechuan. Both are extremely spicy and non-natives almost always have to ask for milder versions. When we traveled through Szechuan several years ago we would beg restaurants to make our dishes mild and still struggle to eat them. Our local driver would shake his head and add extra chilies to his portion! On Saturday we each had moments of tears and gasping from the heat, but it was an exciting adventure. We had ordered our food to all come at the “baby” spice level, we could have chosen the extreme version, referred to as the “pervert” level. Really don’t know how anyone could possibly eat it! Hunan food is renowned for its elaborated preparation and the attention paid to presentation. 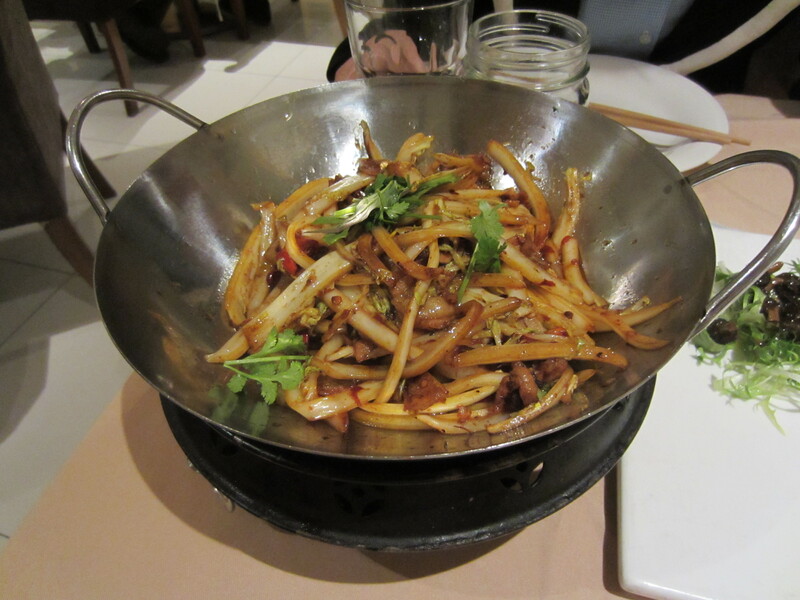 Unlike its Szechuan cousin, the food is traditionally made using fresh chilies and lots of shallots and garlic as opposed to dried chilies or chili pastes. They also use a lot of smoked and cured ingredients, which gives the food more depth. Last night John and I took a Swiss visitor out for dinner. We had planned to go back but she told us she was not a big spice eater. Instead we headed to a restaurant recommended by her hotel. Coincidentally, it also turned out to be a Hunan restaurant called The Middle 8th. A bit worried we explained our spice concern, but they said not to worry and advised us on milder dishes. There were some wonderful choices, but must confess I did not find it as tasty as the first eatery. We will have to try some of their regularly spiced dishes another time in order to make a fair comparison! Sadly, forgot my camera on Saturday, so all these photos are from The Middle 8th. I find this blog helpful in learning about Chinese culture — The info you include is helpful for when I interact with my Chinese business contacts as it is practical and detailed. Well done!